It can sometimes be interesting to reveal more personal elements when having a portrait shot, especially when you are being featured in a magazine. This headshot was shot for a business to business (B2B) magazine and the editor had suggested that the person’s hobby or passion was shot doing something he enjoys doing outside of work. 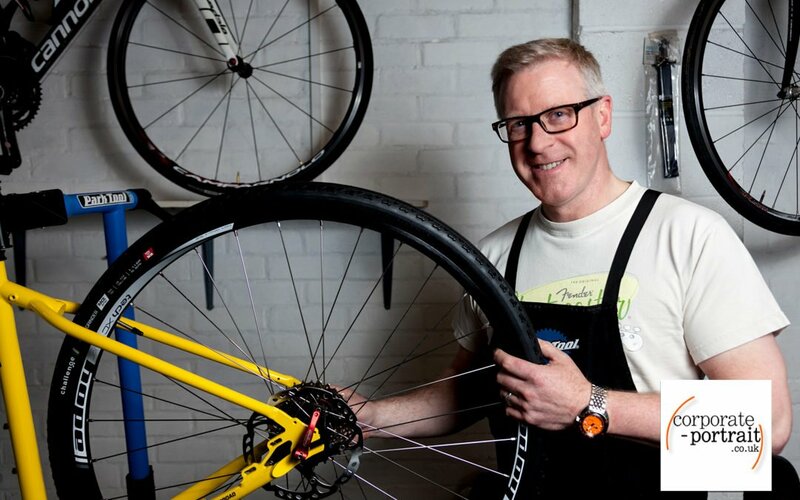 The portrait of Ian Broad was shot among cycles in his workshop. This tells more about him and enabled the editor to have a very business article while the visual impact of the picture made the feature much lighter.